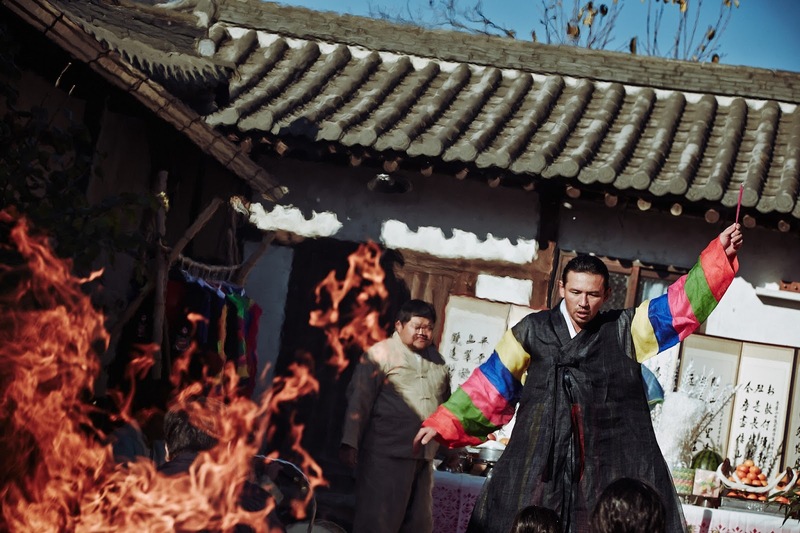 Following on from the crowd-pleasing Train to Busan, The Wailing's UK release presents to us another chance to indulge in state-of-the-nation South Korean films of demonic possession. Here, however, is where the similarities between the movies end - whilst the former is a rip-roaring and visceral experience, Na Hong-jin's latest is a wildly original, creeping and cerebral production pitched squarely at an art-house audience. Set in the remote village of Goksung, a location in which heavy rain seems to perpetually fall, we're introduced to a small community who are in the midst of two simultaneous outbreaks - the locals are, in increasingly greater numbers, succumbing to rashes and boils whilst the intervals between explosions of merciless and fatal acts of violence are shrinking. Animals are found eviscerated and a woman who murdered her family and burned down her house has been found hung. What could be the cause for these unseemly events? Could it be that a batch of toxic mushrooms are responsible? Or could a physical manifestation of ontological evil provide a better explanation? Na's slow-burning movie manages to balance an unsettling, continually meandering tale in which the audience are generally baffled as to what may happen next, with a profound look at the nation of South Korea itself. For those familiar with the country's history, the inclusion of Christianity (evidenced from the quote which opens the movie) and Shamanism (a ritual seen here in an attempted exorcism) are obvious inclusions but, more than any other aspect of its modern history, it is the inclusion of Japanese colonialism which provides the film with its allegorical backbone. As our protagonist, bumbling detective Jong-gu (Kwak Do-won), attempts to find a source for the sudden and unimaginable brutality visited upon Goksung, his leads repeatedly return him to a Japanese fisherman (Jun Kunimura) who many of the townsfolk are beginning to suspect as being suspicious and perhaps even evil. Jong-gu himself has increasingly fevered nightmares about the loner, his face a malign apparition which haunts the detective's sleep. As Na asks us to ponder whether the Japanese man may be a demonic manifestation, or worse, The Wailing draws metaphorical parallels between unholy possession and that of colonial occupation, of cultural imperialism. In the same way the inhabitants of Goksung may have their souls stolen, their identity taken over by unexplainable sources which strip them of their humanity, so to did the Korean people under the Japanese occupation of the country in the early 20th century. The savage attempt to suppress and exterminate the Korean language, culture and religion by Japanese invaders has been a source of hostility ever since. It is no wonder, then, that Japan has provided so many antagonists in Korean cinema throughout the years (in both South and North Korean films). Very few, however, have been presented with the existential dread as seen in Na's movie. 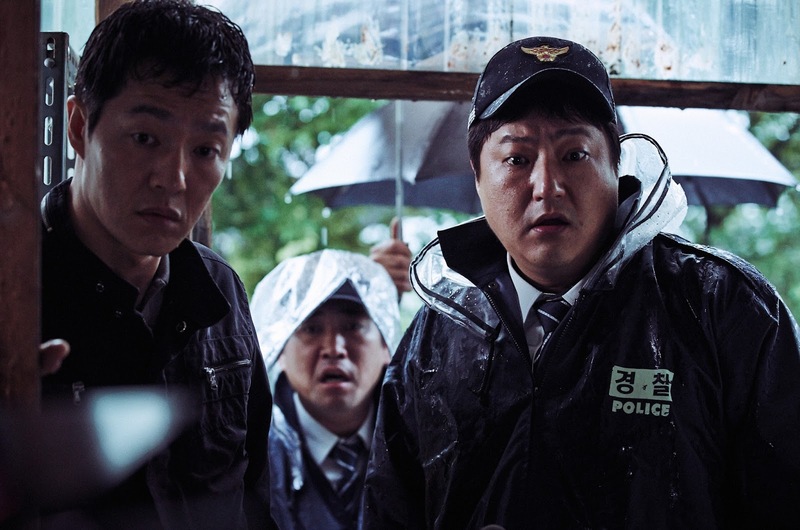 In blending aspects of the police procedural and religious horror genres, the Korean director has followed up his previous acclaimed features (The Chaser and The Yellow Sea) with an assured release which is certain to cement his status in world cinema as an equally celebrated peer of Kim Ji-woon, Im Sang-soo, Hong Sang-soo et al. The Wailing is a movie of exceptional cinematography, dense metaphor and metonym, and rich rewards for those who stick with its often leisurely pacing. Its a particularly recommended watch for fans of Korean cinema and those who like their thrillers askew and unpredictable.